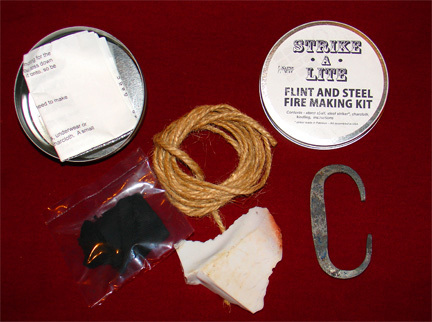 Complete set for learning and demonstrating the fascinating practice of making primitive fire using flint and steel. Contains char cloth, jute tinder, tool steel striker, flint and instructions for using the tools and making more char cloth. This kit will make your primitive demo a hit with young and old. Kids should have supervision for this practice. As with all of our materials and tools these pieces will cut and injure if misused -- we guarantee it.